Motorola yesterday announced the second generation versions of its Moto 360 smartwatches at IFA. 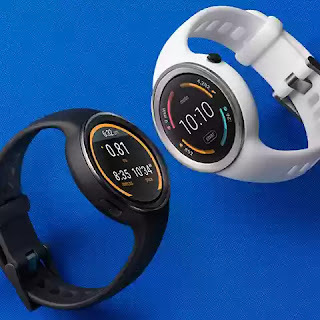 Unlike last year, this year's models will be available in two distinct versions, a regular one and a sport version with built-in GPS location chip to track your fitness activities. The Moto 360 retains the small overall design of last year's model with a lug added to make it look like more traditional watches. 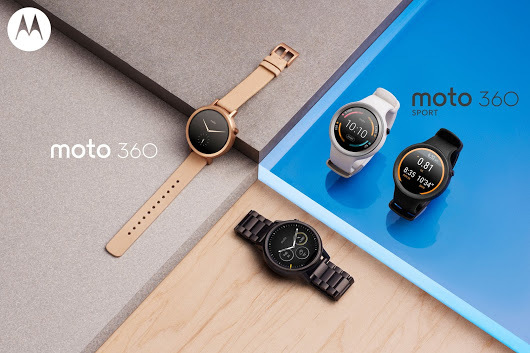 Unlike last year the Moto 360 would be available in 3 sizes; a 46mm version with a 1.56 inch display , a 42mm version for men and a 42mm version for women with a 1.37 inch display. The battery has been upped to 400mAh in the bigger 46mm version which should allow for 2 to 3 days of use, while the 42mm version has the smaller 300mAh battery which allows for a day and half of use. The Moto 360 are water and dust resistant and rated IP67. There has been so tweaks to the hardware, with the TI OMAP processor swapped out for a Qualcomm Snapdragon 400 processor rated at 1.2GHz with an Adreno 305 GPU rater at 450MHz. The internal memory and RAM remains the same with last year's model at 4GB and 512MB respectively. The Sensors available in the Moto 360 includes an accelerometer, gyroscope, ambient light sensor, heart rate monitor and a vibrometer/haptics engine. The Moto 360 smartwatches support wireless charging with Bluetooth 4.1 and WiFi 802.11 b/g for connectivity. The Moto 360 and Moto 360 Sport are available for preorder on the Google Play Store and Motorola website, prices start at $299. As usual the Moto 360 are customisable using the MotoMaker on Motorola's website. Overall, the Moto 360 is a good looking smartwatch which checks just about box, if you are willing to over look "flat tyre" screen design. The only notable omission is the absence of an NFC chip which makes using the Moto 360 for contactless payments like the Apple watch impossible.